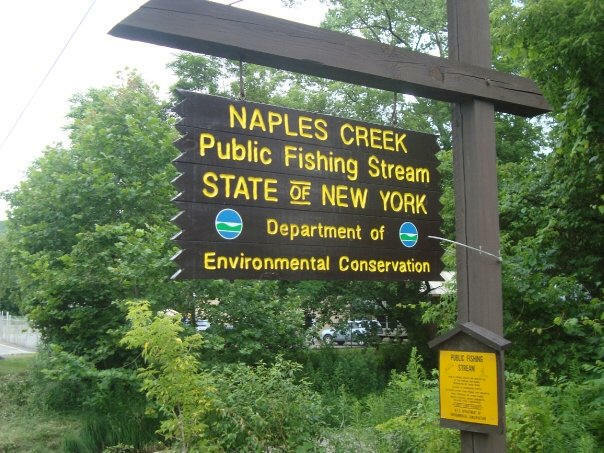 This section covers the trail from Naples, NY off NY 245 just past the bridge for Naples Creek through Hi Tor WMA to Brink Road. Although this section is only 5.7 miles long, it could easily be the most challenging. From the parking area off NY 245 the trail runs next to Naples Creek before ascending Hi Tor. You will climb over 1100 feet in the next 1.5 miles. 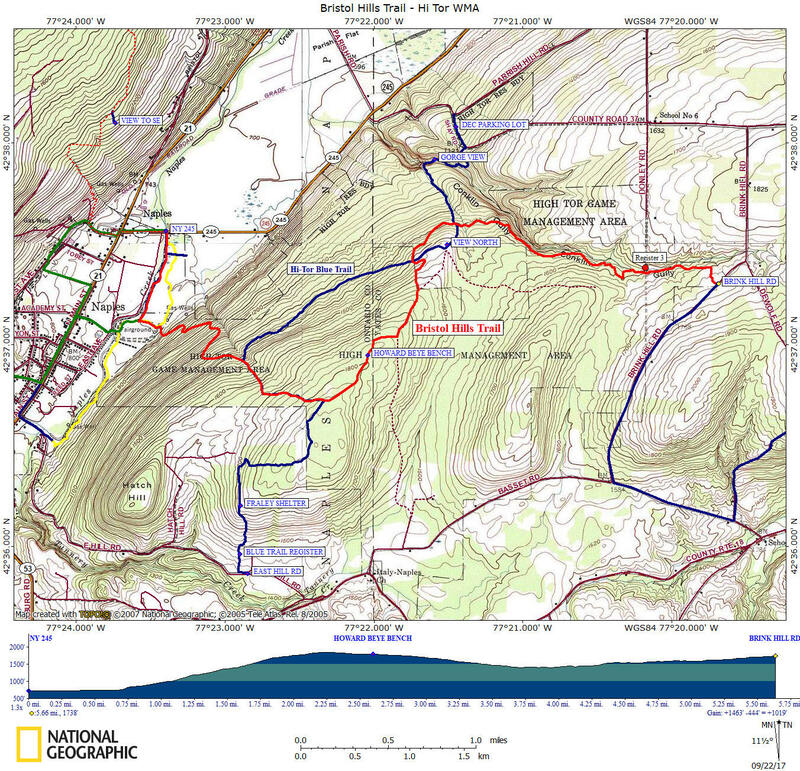 This whole section of trail is within Hi Tor WMA. Although you are in Hi Tor WMA, the DEC only allows camping in this state land by organized groups with a permit only. Thru-hikers and backpackers should call the DEC prior to plan any overnight stay in the WMA. This WMA is very popular with it's views and Conklin Gully. The gully is really a gorge and has a few waterfalls that can be viewed via a side trail called the Hi Tor Blue Trail. Rules and regulations for the use of the area are posted adjacent to most of the parking areas. Some rules include any camping at High Tor WMA is restricted and requires a permit from the DEC. The DEC only allows camping there during the months of March, April, and June-September, and they only issue permits to organized groups such as scout troops, hiking clubs, etc. Contact the NY DEC for more info. The Bristol Hills Trail follows Conklin Gully for a short time before reaching Brink Hill Road and the end of this section. The best views of Conklin Gully are from the Hi Tor Blue Trail as well as a great view from the Lean To of Canandaigua Lake. Look below for a few pictures, a map and a more detailed description of this section of the Bristol Hills Trail. You can help support this trail by purchasing official Bristol Hills Trail maps from the Finger Lakes Trail Conference or volunteer! We recommend that you check the latest trail conditions from the Finger Lakes Trail Conference website under the "trail conditions" link, as there can be changes that we are unaware of. Parking area off NY 245 just past Naples Creek. GPS N42 37.561 W77 23.394 Follow orange blazes. 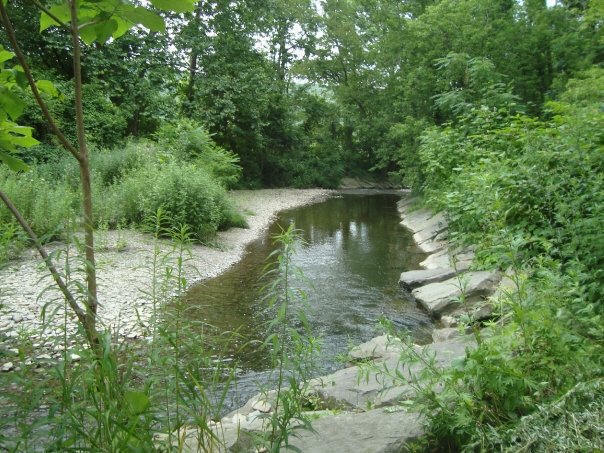 Trail turns left away from creek. Soon begin long ascent up hill. Hi Tor Blue Trail on left. Blue Trail follows BHT for next 0.6 miles. Highest point of BHT in Hi Tor WMA. Hi Tor Blue Trail goes right. BHT veers left. 2.6 1791 feet Howard Beye Memorial Bench. Trail veers left to follow along an old jeep trail. Trail veers left away from old jeep trail that veers right. Trail crosses Hi Tor Blue Trail. Continue straight and follow orange blazes. Trail turns right away from "Conklins Gully".